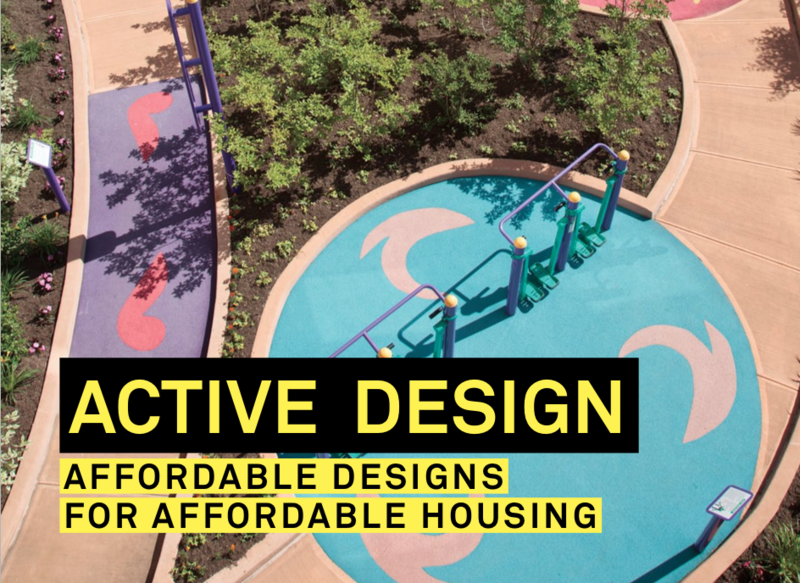 Affordable Designs for Affordable Housing focuses on feasible, low-cost ways to implement the Active Design Guidelines in affordable housing developments. Many of these strategies are also feasible for other settings. The basis for this document was a study funded by the Robert Wood Johnson Foundation Active Living Research Program. Download a copy of Affordable Designs for Affordable Housing here.